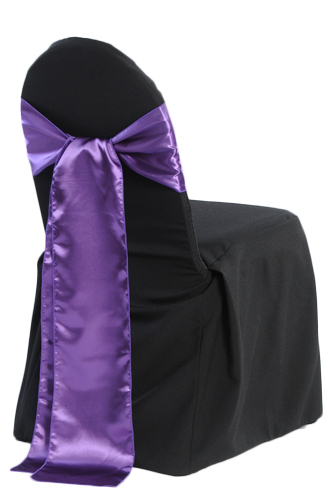 Black Banquet Chair Cover Rental (B#3) with FREE Sash Rental When Renting 50 or More Chair Covers - See Chair Sashes for Qualifying Free Sash Rental. Made of high quality polyester fabric and specially packed for shipping and transporting to minimize wrinkles. Just open up the box and put right on the chair. No steaming or ironing required. Select from white, ivory, or black. Back - Top to Floor - 37 1/2"; Front - Top to End of Seat - 36 1/2"; Seat to Floor - 18" Width - 17"; Top at Curve - 16"